We’d love your help. Let us know what’s wrong with this preview of Caledon of the Mists by Deborah Turner Harris. After the death of her brother in a battle against a shape-shifting demon, Mhairi takes up the struggle to unite the Caledonians and must use all her Feyan powers to overcome a tyrant's dark magic and regain her rightful throne. 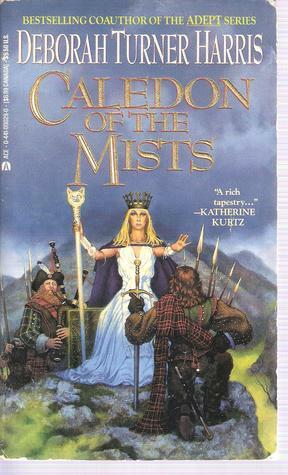 To ask other readers questions about Caledon of the Mists, please sign up. An interesting concept spoiled by beige prose and too many plot threads and viewpoint characters explored in too little detail. I read it sometime ago, and remembered liking it. After reading it again, I am not sure if I like it as much as I thought I did. It has a lot of similarities to a book about Irish or Celtic people and also Scotland, but I am not sure that I like the direction it went. Even though I own the books I don't think I will read them again. I had a hard time with the story. I just didn't find it very interesting, which was disappointing b/c I like her collaboration with Katherine Kurts on The Adept series. Ah well.